Popular historic sites such as Cape Meares Lighthouse and The Grotto - National Sanctuary of Our Sorrowful Mother are in your itinerary. Your itinerary includes some good beach time at Manzanita Beach and Short Sands Beach. 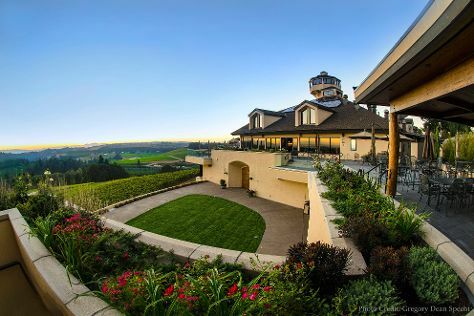 You'll find plenty of places to visit near Portland: Rockaway Beach Wayside (in Rockaway Beach), Astoria (Astoria Column, Flavel House Museum, & more) and Willamette Valley Vineyards (in Turner). Dedicate the 3rd (Wed) to wine at some of the top wineries in the area. There's much more to do: tour the pleasant surroundings at Hug Point State Recreation Site, contemplate the geological forces at Mount Hood, and look for all kinds of wild species at Little Zigzag Falls. For reviews, more things to do, maps, and more tourist information, read Portland online trip itinerary builder . Dallas to Portland is an approximately 6.5-hour flight. You can also drive; or take a bus. Traveling from Dallas to Portland, you'll gain 2 hours due to the time zone difference. Plan for slightly colder temperatures traveling from Dallas in April, with highs in Portland at 63°F and lows at 45°F. Finish your sightseeing early on the 7th (Sun) to allow enough time to travel to Los Angeles. We've included these beaches for you: Venice Beach and Boardwalk and Santa Monica State Beach. Santa Monica Pier and Hollywood Walk of Fame will appeal to history buffs. Explore Los Angeles' surroundings by going to Disneyland Park (in Anaheim) and Temecula (Old Town Temecula, Peltzer Winery, & more). The adventure continues: examine the collection at The Getty Center, take in nature's colorful creations at The Huntington Library, Art Collections and Botanical Gardens, steep yourself in history at Italian American Museum of Los Angeles, and see the sky in a new way at Griffith Observatory. To find reviews, photos, ratings, and tourist information, read our Los Angeles itinerary builder app . Fly from Portland to Los Angeles in 4.5 hours. Alternatively, you can do a combination of flight and bus; or drive. Expect a bit warmer temperatures when traveling from Portland in April; daily highs in Los Angeles reach 75°F and lows reach 56°F. Finish up your sightseeing early on the 13th (Sat) so you can travel back home.